Our patent solicitors have a vast amount of experience protecting assets for a variety of clients offering different services and industries. Our patent services include providing specialist drafting services, structured and efficient advice on patent portfolio management and services to help clients manage their patents. 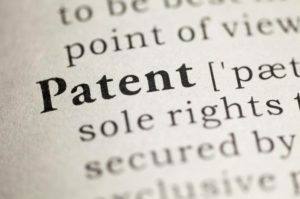 Patents protect ideas and creativity around a business’s exclusive right to sell and use their product and/or service. Patent protection is vital especially in cut throat industries and where there is fierce competition and rivalry. When a business invents a new unique product or service, component or process there is always a risk a leak would spoil a business philosophy and diminish profits when a business does not protect its own assets. This can result in businesses losing their market advantage or edge when others plagiarise or a competitor registers a patent that originated from your business. It can be an arduous task to chase a rival or competitor to prohibit copying, manufacturing, selling or importing a carbon copy of your product or service. When a patent is registered by a business the process of taking competitors or “copy cats” to court is a lot simpler. However, securing a patent can be a complex task. Patents can be a time consuming and expensive task but the benefits (once implemented) outweigh the downside of the registration process. Often businesses challenge other businesses on existing patents which can block a patent being granted. At Bloomsbury Law, our team of patent law specialists have experience in dealing with patents on behalf of many businesses and industries, nationally and internationally. Throughout the years, we have built a network consisting of the world’s best intellectual property experts all over the world, in various specialisms including patents. Our London team can advise on international intellectual property implications and can inform you of any obstacles when required. We adopt an efficient and effective streamlined process which allows us to make the best decisions with full transparency. If you would like to find out more regarding patents or want to ask a question, please get in contact with our intellectual property solicitors and we will be able to process your query efficiently and effectively.